VLC Player 2.0 is the latest version released by VideoLAN Organization. 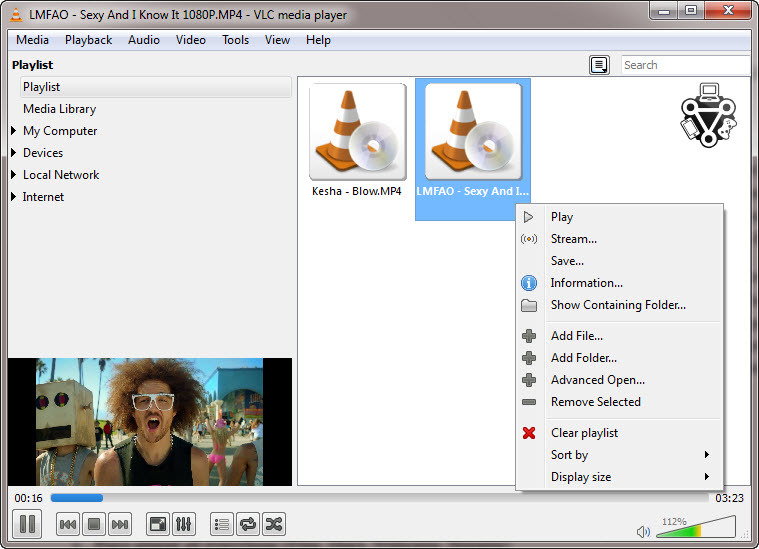 The official release of VLC 2.0 Final was made on 20th Feb 2012. This open source video player is very much capable of handling most media formats. VLC 2.0 is the first landmark update since its first official release in June 2009. You can find a lot of changes in the VLC 2.0 version. Especially the look and feel in Mac platform is really impressive. It can support the Blu-ray playback being overshadowed with amazing interface. VLC 2.0 on the Mac platform replaces the simplistic interface and resembles iTunes old versions. You can observe a lot of other additional features in the Mac version of VLC 2.0. The stable Mac version of VLC 2.0 can play more audio and video files. You can find a two-paned window which contains a list of common locations for media files. You can see this in the left hand pane of VLC 2.0. And it also gives you an invitation to drag and drop files into the window for playback on right side of the player. Now if you come to the windows version, VLC 2.0 has got great support towards it too. The one major upgrade you can find in windows version is, you can find a dedicated 64 bit build of VLC. Apart from this small upgrade, you can find many more updates and features like never before. Check out more of the VLC Media Player 2.0 new features below! 1) Simple, Fast and Powerful. 3) Supports all types of codecs like MPEG-2, H.264, DivX, MPEG-4, WMV and etc. without any packs needed. 4) Completely free from spyware, ads or user tracking. 5) Works on most platforms like Windows, Linux, Mac OS X, Unix and Other. 6) Media Converter and Streamer. The new VLC 2.0 can support a lot of Audio and Video formats, Check out the list of formats it support in audio and video. Apart from these above formats, VLC 2.0 can support a lot of additional Input features, Subtitle/Tag formats, A/V outputs, A/V filters, Interfaces and other additional formats, In one simple world, VLC 2.0 is a universal player which can play anything. You can always check the list of features from the official site. Click here to check all the available features of VLC 2.0. If you take a look at the new interface, you can find many changes in the look and feel of VLC player. The amazing silver look of VLC 2.0 is really pleasant and professional. As you can see the above screenshot with different panels and different options, each one of them has got its own way of functioning. Take a look at the left and right panels in the player, which allow you to add multiple files at a time. As told above, the files can be added by just dragging them and dropping into the player. You can observe that almost everything is changed in the new VLC 2.0 Player. You can also download a lot of new VLC 2.0 skins from the official site. Click here to take a look at the latest VLC 2.0 Skins. And if we talk about the stability, VLC 2.0 is more stable and will crash very less if you compare it with the previous versions. The new interface is really light, you can surely make out the difference between the older versions and the new stable version of VLC 2.0. If you want to download this amazing player, you can download from the below link directly. Let us know what you think of the VLC Media Player 2.0 New Features and if you have any queries, you know what to do! 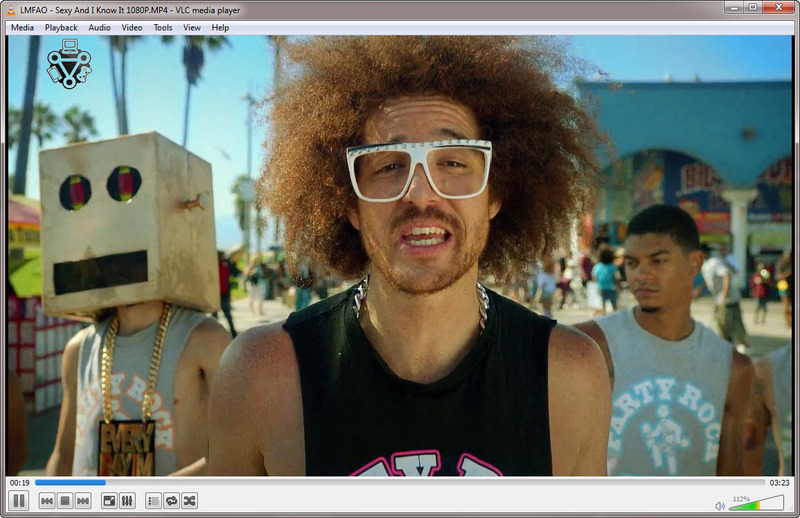 I have just downloaded the VLC 2.0 and it looks pretty awesome! !